About QPS - QPS - quality inks, technical services, media, printers and software, for wide-format print. Quality Print Services Ltd has been doing what it says on the tin for 16 years: providing top-quality inks, technical support services, plus media, printers and software, direct to the wide-format printing community. Led by Managing Director Chris Bailey, Lancashire-based QPS has a loyal client base nationwide, attracted and retained by its professional approach to delivering a wide variety of services. 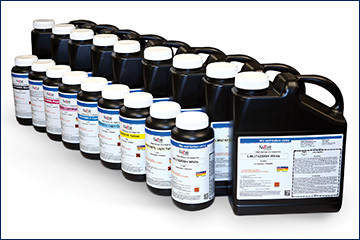 Among QPS's offerings is Nazdar's extensive and cost-effective range of high-quality alternative UV-curable, water-based and solvent printing inks. 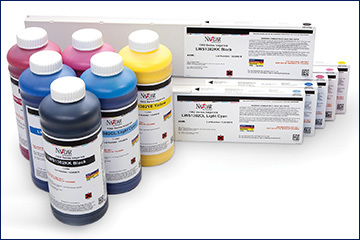 The key to achieving this quality is to match inks to specific makes and models of wide-format printers, meaning that customers need only give their printer details and application requirements to the QPS team to be assured of receiving matching Nazdar ink. 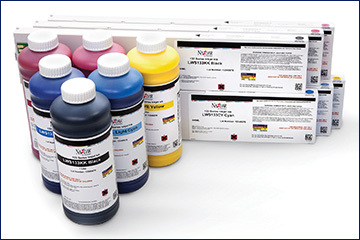 Wide-format formulations have been developed for compatibility with brands including Roland, HP, Mutoh, Océ, Mimaki and Epson, and grand-format solvent and UV formulations are stocked for most printers currently on the market. Developing precisely correlated inks removes the need to flush printers or throw away leftover ink when switching from OEM products. 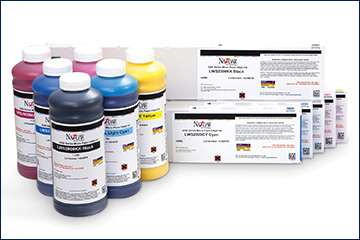 This has helped QPS's clients change over to lower-priced Nazdar inks without downtime or waste, according to Chris Bailey. 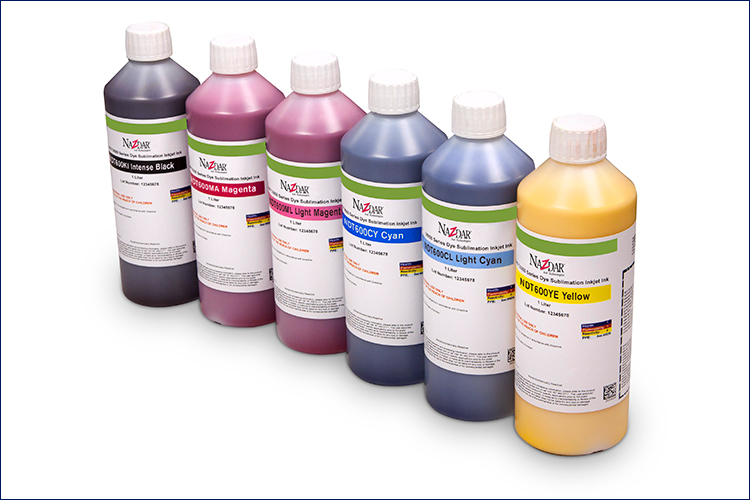 "Our inks from Nazdar are designed to pick up from where OEM inks leave off," he says. "They are carefully colour-matched and of the same, or better, standard, so the only change the customer sees is a smaller bill at the end of the month. "The majority are also made in the UK, so you can be sure of getting top quality while supporting our national industry." Among QPS's customers is Chelmsford-based signage supplier Signtec, which recently said it has saved 'buckets of cash' by switching to Nazdar inks for its Agfa Anapurna. A QPS engineer handled the switchover without downtime: "The Agfa machine was up and running on Nazdar inks with no delay or interruption to our printed output," says Peter French, Projects Manager at Signtec. 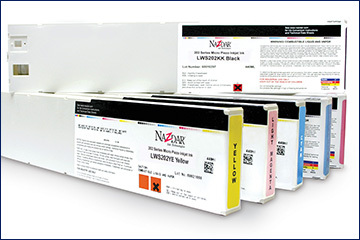 In addition to supplying the Nazdar range, QPS offers a cartridge recovery and recycling service to its ink customers. By integrating used ink cartridge collections into existing delivery and service routes, QPS can help print providers improve their environmental credentials and boost applications for ISO 14001 certification. Further to this green-focused line-up is BioMedia, Ilford's biodegradable and recyclable media available in film, rigid board and laminate compatible with a range of Nazdar inks including HydroColor. Winner of an SGIA Product of the Year award in 2011, BioMedia features a unique enzyme that accelerates breakdown in anaerobic landfill conditions while also meeting all recyclability criteria. QPS also highlights its position as a distributor of DGEN direct-to-textile printers, again offering an option to print businesses hoping to reduce their carbon footprint: soft signage is strong and durable, but lightweight and packed easily for optimum space efficiency during transportation. There is also Longier Hunter UV print systems, finishing equipment, a range of new and used wide-format printers from a variety of brands, ColorGate and Wasatch RIP software – plus technical support – make up QPS's portfolio. "We're excited to introduce Longier flatbed printers to the UK market for the first time," comments QPS Managing Director Chris Bailey. "The brand is a real competitor against our industry's more recognised names and with Nazdar inks ready-installed it offers exceptional quality and cost savings. "We're really a one-stop shop for the sector," says Chris. "We're able to help print businesses achieve higher margins through quality alternative inks, meet growing demand for environmentally friendlier output, maintain their existing equipment using more traditional substrates and ink, upgrade to the newest end-to-end systems and offer applications such as textiles."